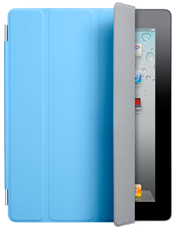 What makes the iPad situation different this year is that everyone already knows that this time it's a home run. It was a home run last year too, but many wouldn't see it. This time, there's no arguing. Apple has invented something amazing. Steve Jobs wrapped up the event with an explanation of what is the essence of Apple. "This is worth repeating. It's in Apple's DNA that technology is not enough. It's tech married with the liberal arts and the humanities. Nowhere is that more true than in the post-PC products. Our competitors are looking at this like it's the next PC market. That is not the right approach to this. These are pos-PC devices that need to be easier to use than a PC, more intuitive." This is why Apple has been so stunningly successful, time after time after time. It isn't really a statement about Apple's DNA, but an awareness of our DNA. This statement reveals a human-centered awareness of why we really even want technology in the first place. This way of thinking resonates with people at a very core level. We are humans, not robots... not droids. We seek technology that conforms to us at our human level, not the other way around.